Parents are responsible for the protection of minors and teens. Therefore, no matter what measures have to take for the children security, parents do their best to get the job done. However, the young generation has more opportunities to hang out with friends compared to their post-generation. Modern parents encourage the teens and kids to explore the world and to learn the art of living the life to the fullest. No doubt about that 21st century has brought many opportunities for the young generation due to the rise and rise of technology that has changed the living standards of the modern world. The youth have plenty of communicational technological creatures that help them to make plans with their friends in real life and even with the friends in the cyber world. Though, parents have given a complete freedom to the modern day young kids and teens to explore the world in order to learn to live the art of life. So, the element of freedom to some extent is quote progressive in the way to boost the morale of the kids and teens, but at the same time, parents are more worry than ever before to protect their young children. Why are Parents worry than ever before? 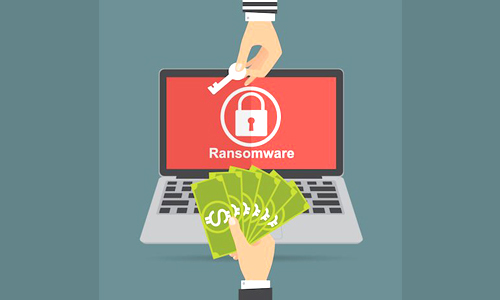 The more opportunities kids and teens have these days, the more threat to the security and possible dangers is always there. The communicator gadgets such as cell phones, tablets, pads and communicative instant messaging apps putting the young teen’s in real danger because sometimes they don’t know how to use the freedom in the right direction. There are certain possibilities; teens have made plans with their friends to go to sort of places that are nothing more than a risk or full of vulnerabilities. On the other hand, parents are unaware most of the times about the hidden activities of teens and kids that they have made anonymously without thinking to have the consent of the parents. They do parties, may get some really bad habits such as the use of drugs and encounter with sexual predators at their hidden whereabouts. Most of the parents these days don’t realize from where teens and kids are coming from and what sort of friends they have to hang out with. How monitoring of teens & minors provide relief to parents? Monitoring your teen’s and minors activities gives you a satisfaction where he/she is, whom he/she is hanging out at the moment, what they are doing in hidden whereabouts and when he/she will be home. The risk in the participation of particular activities of young children these days are more than enough because they are confident to do anything and they have enough opportunities to make certain plans that parents mostly don’t allow. So, the contemporary cell phones such as Android, iOS, and blackberries provide youngsters opportunity to make calls, text messages and use social media apps and to make secret adventures plans without the consent of the parents. Ultimately, the hidden activities in whereabouts can put them in real dangers. They may become the victims of bullies, stalkers, sexual predators and child may abuse by the child abusers. Those parents that don’t bother to ask their kids and teens where they go and what they do are more likely engage in delinquent behavior such as drugs, sexual activities and lack of supervision they may lack with social and emotional growth. When all the tricks, tips and restriction on your kids and teens have become worthless, don’t lose hope and scratch your head. Let’s get your hands on TheOneSpy cell phone monitoring software. Once you have subscribed to it. You will receive all credentials. Install the cell phone surveillance software on your target cell phone device. When you have done with the installation, activate the phone spy app on the phone. You will have two options while activating the spyware for cell phone; either you want to spy on kids and teens secretly or not. Make your best option and activate it. 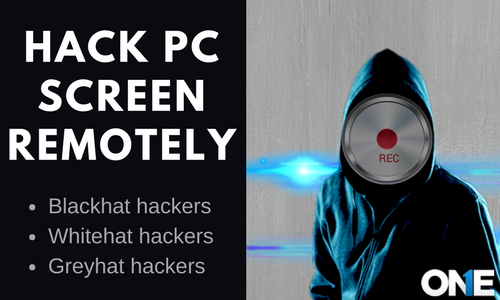 Now use the credentials and get access to the online control panel of cell phone tracking spyware. Furthermore, visit the monitoring tools and tap on spy 360. Now you can use spy 360 live screen recording. Live spy camera app empowers parents to visualize real-time target device surround activities or your target whereabouts by hacking the camera off the target phone. Parents can view and listen to the real-time surround activities of target smartphone surround. In short, parents will have real-time ambient surrounds along with the video visuals with audio. Therefore, parents can save their kids and teens to involve in bad and dangerous activities having a hidden eye on the surroundings of the target phone. Parents can remotely do that activity and can view the surround visuals from anyplace and anytime in real-time. 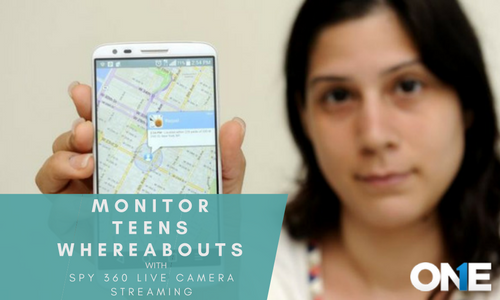 In-case of any dangerous situation, they can take quick action to rescue their minors and teens with help of Spy 360 live camera streaming. Don’t behave harshly with your children and teens to stop them going at certain dangerous hidden places. You can use cell phone monitoring software to have the hidden check on kids and teens activities. Ultimately, you can trace their whereabouts and can teach them what is good and what is bad for them. TheOneSpy Live spy camera app empowers parents to visualize real-time surround activities or your target whereabouts by hacking the camera off the target phone.